Is the Wirehaired Pointing Griffon right for you? Find your perfect match now! Wirehaired Pointing Griffons were bred for swamp-tromping: their weatherproof coats insulate them from water and cold temperatures, and protects them from critters and thorns. But these all-terrain dogs (Griffs, to their fans) can and will follow you just about anywhere. Today, Wirehaired Pointing Griffons are still largely valued for the jobs they were originally bred for: retrieving and — of course — pointing. Some also do therapy visits or search and rescue work. Originally from France, this medium-sized and high-energy breed can grow to between 50-60 pounds and lives an average of 12-15 years. The breed is recognized by the American Kennel Club and classified as a member of the Sporting group. WHAT IS A WIREHAIRED POINTING GRIFFON'S PERSONALITY LIKE? Wirehaired Pointing Griffons' funny, full beards add to their friendly facial expression. And the beards don't lie: these are amiable, outgoing, and eager dogs. 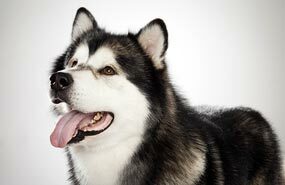 This devoted breed gets along well with children and makes a wonderful family companion. Wirehaired Pointing Griffons are usually happy to meet strangers of the two- or four-legged variety. WHAT IS WIREHAIRED POINTING GRIFFON BEHAVIOR LIKE? HOW EASY IS IT TO TRAIN A WIREHAIRED POINTING GRIFFON? The quick-minded Wirehaired Pointing Griffon responds well to training. This sensitive smarty-paws responds to positive reinforcement like encouragement and praise. She likes to be near her people, so off-leash play in a safe traffic-free area might be possible. You might think about channeling your Griff's smarts, strength and stamina into dog sports like obedience, rally, flyball, or agility. HOW MUCH DO WIREHAIRED POINTING GRIFFONS SHED AND WHAT ARE THEIR GROOMING NEEDS? The Wirehaired Pointing Griffon is a seasonal shedder who requires occasional grooming. Griffs don't shed much, but their wiry coats will need regular hand stripping and brushing. WHAT HEALTH PROBLEMS DO WIREHAIRED POINTING GRIFFONS HAVE? As a breed, Wirehaired Pointing Griffons are generally healthy. Some are susceptible to elbow or hip dysplasia and eye disease. Those charming droopy ears should be kept clean to prevent infections. ARE WIREHAIRED POINTING GRIFFONS GOOD FOR PEOPLE WITH ALLERGIES? The American Kennel Club doesn't list Wirehaired Pointing Griffons among its breeds recommended for allergy sufferers. WHAT IS A WIREHAIRED POINTING GRIFFON'S BEST DAY? Take your Wirehaired Pointing Griffon running or swimming with you. In all likelihood, you'll get tired way before she does. SHOULD I ADOPT A WIREHAIRED POINTING GRIFFON? This breed does well in the cold, but melts a bit in warm weather. More importantly, though, the happiest, healthiest Wirehaired Pointing Griffon is a Griff on the go. Making sure this dog has enough physical and mental activity is going to be a big part of your everyday routine. If your regular workouts have space for a canine coach, the Wirehaired Pointing Griffon would love to cheer you on. 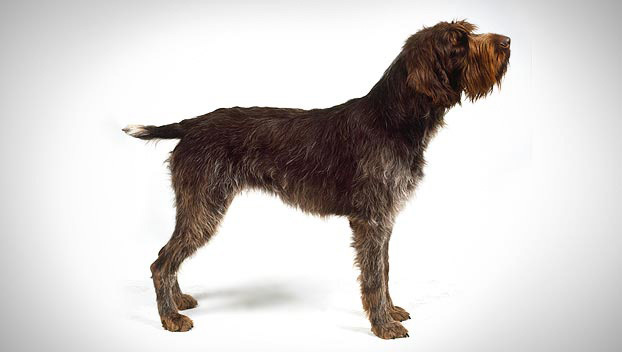 Have you decided that a Wirehaired Pointing Griffon is the perfect dog for you? Why not be your new best friend's hero and adopt a rescue! Be sure to check out our article on what to expect when you're adopting a dog or cat.